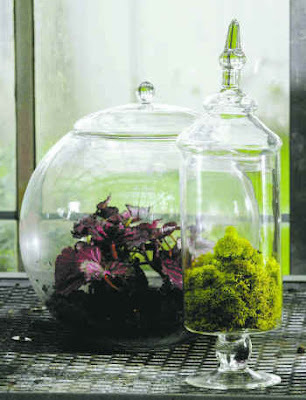 I love glass, containers and plants so by now I should have a mini garden of Neglecta-Plants right? Alas, I didn't find a single apothecary jar garage saling and don't feel like paying department store prices from something I don't technically need. I could have a GNOME somewhere besides TSO! This would be so awesome to look at on my desk! 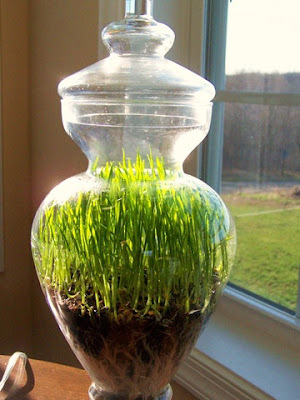 Kimba grew some grass in her jar. This doesn't look so hard right? 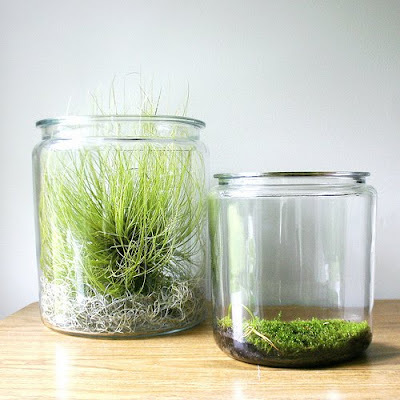 Moss is easy to care for and the one on the left has a shallow root system so they'd be happy in jars too...say the experts. 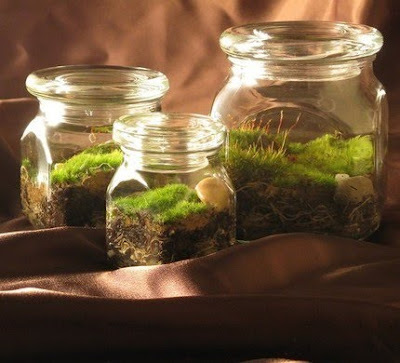 Kimba grew succulents in her jars too. She claims they are easy to upkeep but I've never had much luck with them in regular containers. Yes, I am an overwaterrer. Seriously - where are people finding these mini-mini-micro-macro lawn ornaments? These rocks are a good solution to the drainage problem I was pondering. Yes - I think about drainage instead of health care reform. Of course I have two contingency plans. 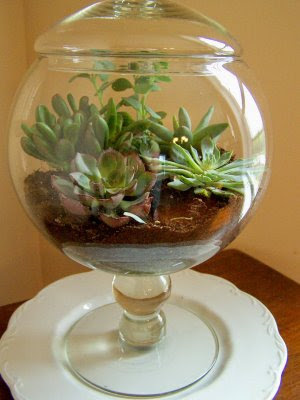 Either I do this and claim it was the original terranium idea all along (back me up on this!) 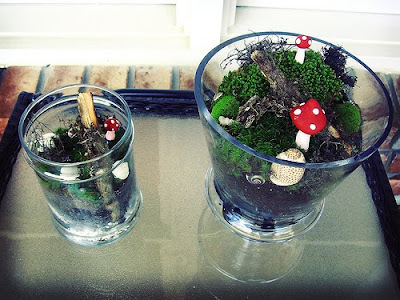 or I buy some from Miss Moss who has the cutest terraniums on all of etsy. This is my determined face. THose are perfect for apartment living! 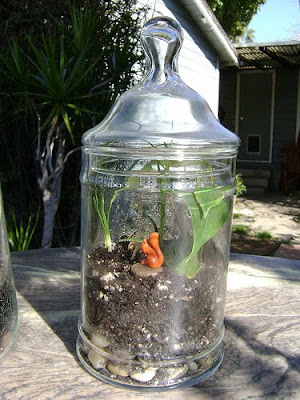 you can find little lawn ornaments like that @ www.etsy.com Good luck with the terrarium growing, I wasn't so lucky.